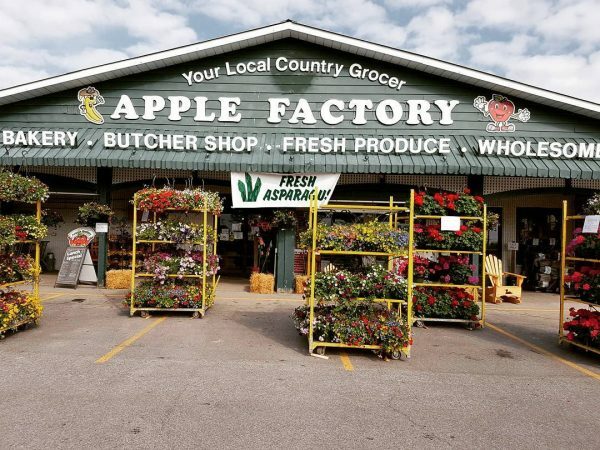 Since 1979 the Apple Factory Country Grocer has been one of Brampton’s and the community of Halton Hills go-to places along with a tourist destination for all the GTA. Roy and Lenore Laidlaw along with their children opened the store and originally sold only apples from their farm and Fresh pressed cider and of course the famous AF Apple Pie. Starting out small and with the help of their children Cliff, Grant, Julie and Lynn, they created a shopping experience second to none. Mom and Dad can come in and let their kids watch the jamboree, chicken show or follow the train. 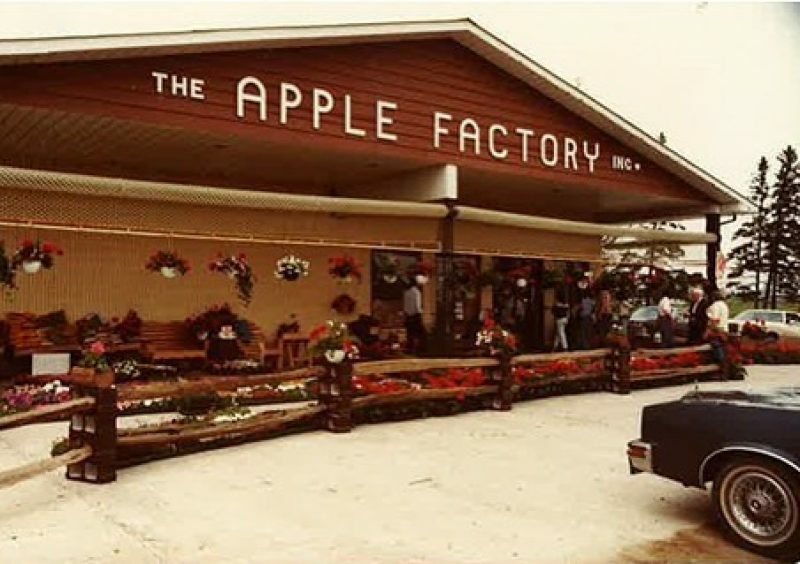 When the Laidlaw’s decided to retire Jim Picard was anxious and committed to continue with their country market vision and purchased the Apple Factory in 2007. Slowly increasing the store’s products to match the times, we now offer prepared foods, Apple Factory name brand products, a larger selection of meat, produce, general, bakery, British products, Picard products, and Newfoundland products. The Laidlaw’s created a shopping experience that the whole family can enjoy. For 28 years the business slowly grew larger to offer a variety of products from local produce to fresh meat and a full line of Bakery products. While still committed to the original values and country style atmosphere, we are fortunate to be celebrating our 40th year and have become a one stop shop for all your needs. We focus on quality, customer service and at the same time provide a unique shopping experience for the whole family. We strive to make sure families can have a memorable experience and a desire to return. Our motto is “if it’s not good enough to serve to our family, it’s not right to let you serve it to yours”. The only thing better than our down-home customer service is our country fresh products. We guarantee all the products we sell 100%. If it isn’t right, we make it right. We do our best to make sure our store is child-friendly. During the Summer and Fall, the Children can see real Farm animals at our viewing Zoo and Feed them with some of our Produce greens. We have seasonal specials that make every day delicious. Variety is part of our culture and we do our best to make sure customers get deals on special items throughout the year.